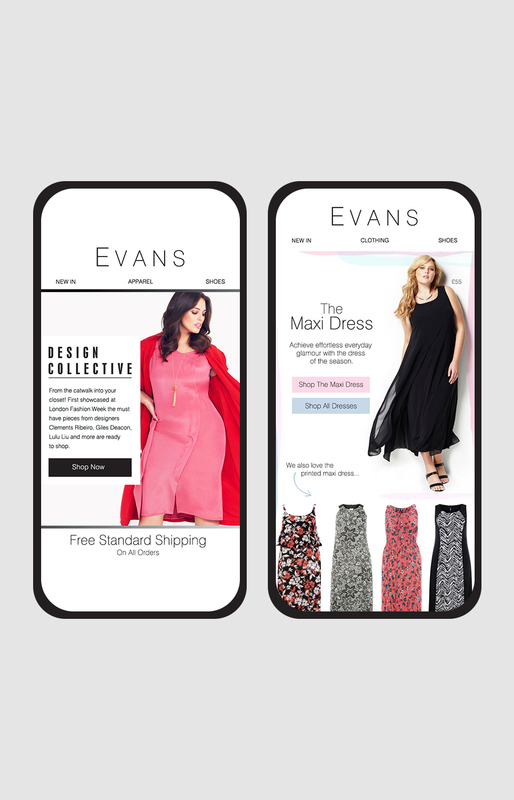 EVANS IS A LONDON BASED PLUS-SIZED WOMEN’S READY-TO-WEAR STORE. 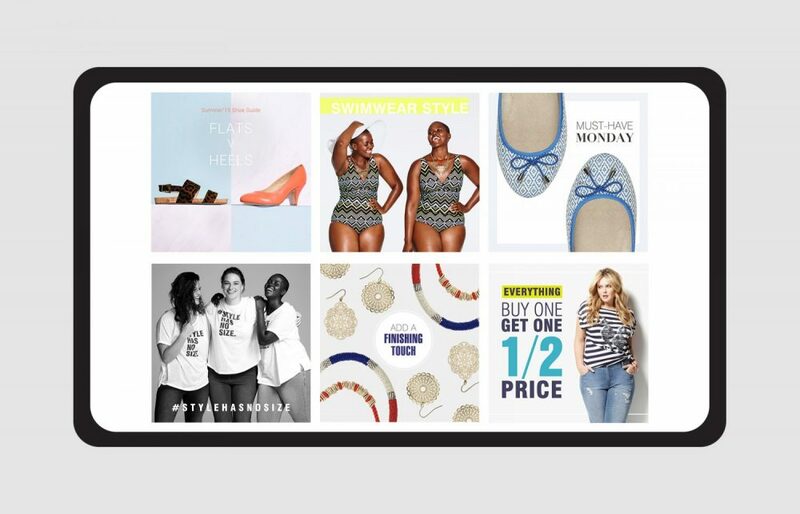 THE BRAND IS PASSIONATE ABOUT MAKING PLUS-SIZED WOMEN FEEL FANTASTIC AND FASHIONABLE IN WHAT THEY WEAR. LAUREN DESIGNED ALL ELEMENTS OF THE WEBSITE, APP, EMAIL, SOCIAL AND AFFILIATE BANNERS. THE BRAND IDENTITY RELIES HEAVILY UPON A VIBRANT, BOLD COLOUR PALETTE AND TYPEFACES. 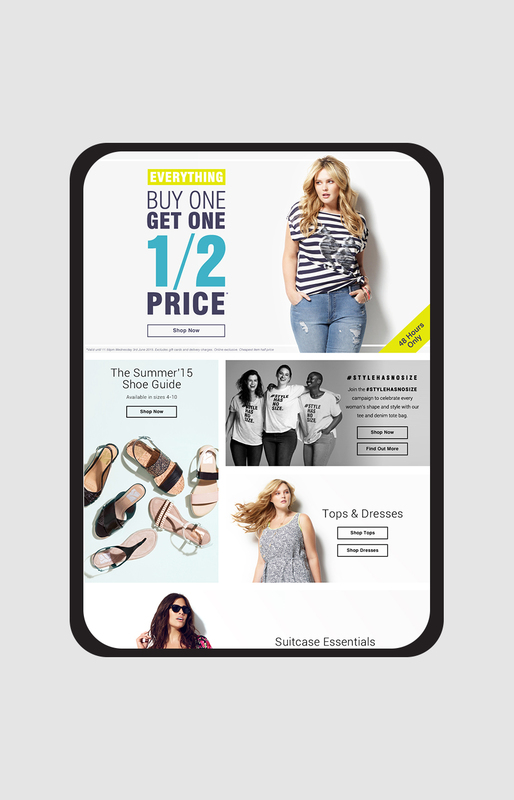 ALL DESIGNS ARE MOBILE RESPONSIVE AND ONLY INCLUDE A SHOPPABLE PRODUCT TO IMPROVE CTR, AOV AND CONVERSION.